EARTHEN GRAVE is a relatively new band from Illinois that has been raising a lot of eyebrows the last couple of years. Combining classic metal with doom elements and a touch of classical provided by renowned violinist RACHEL BARTON PINE, this Grave is not content to just follow in the footsteps of others but forge their own path. 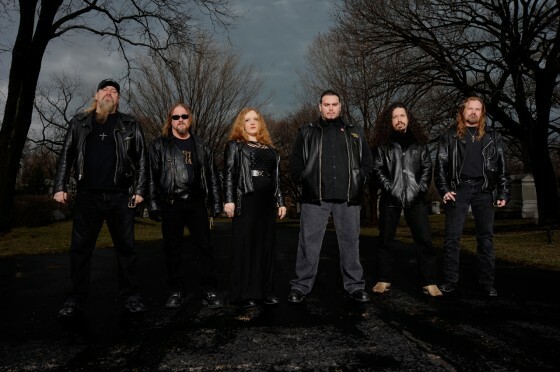 Worm-scribe THE GREAT SUN JESTER ventured into a moldy graveyard to speak to bassist RON HOLZNER (formerly of TROUBLE) about the rise of Earthen Grave and their plans for the future. The interview also touches on his time with Trouble and also the Trouble-esque follow up THE SKULL. Get some heavy insight in the metal of doom from this veteran warrior HERE! You can add cerebral Boston thrashers RAZORMAZE to the upcoming list of Wormwood interviews, which incudes PELICAN, HAVOK, EYEHATEGOD and more! A few others are in the work, as well as some concert reviews! An extra big dose of Worm-venom comes with this week's edition of the Torture Chamber. I might ruffle a few feathers with my review of the new CARCASS, but there you go! MYSTIC CHARM "Shadows of the Unknown"
LORD DYING "Summon the Faithless"
THE VIBRATORS "On the Guest List"
VOID MEDITATION CULT "Sulferous Prayers of Blight and Darkness"